A small dip in Xavier how Steve? Maybe in recruiting for a year but not on the court. If Derrick comes back which he most likely will, I could coach next year's team to the NCAA Tournament and a win or two once there. Every position should go two deep with much more athleticism. Point guard should be much improved with a season for Holloway and a year learning the system for Cheeks (Mark Lyons). Everyone within the program thinks there are at least 2 for sure NBA prospects on the team with Derrick and Crawford, with definite potential in Mr. Freeze, and I expect him to improve plenty. If Derrick goes pro then there may be some troubles but it should still be an NCAA Tournament team. You are assuming a lot....most importantly, the head coach is immediately an effective head coach. The players are there, hard to argue that. But it's not unfair to question how things will come together with a new and inexperienced head coach. The fact remains that the next game is his first....and that's no small thing. At UMass we had a dip or more during the last four coaching changes. I think you are talented and will be at the top of the A10, but a dip from where you would have been if Sean stayed and still a dip from this year. All your freshmen should see a nice productivity jump next year. You are well stocked, but its based on my experience at UMass and will have to say a dip in leadership, will Love fill that role? Last edited by Steve81; 04-23-2009 at 01:46 PM. Xavier has obviously hired better than UMass over their last few changes, so I don't know if the UMass experience is a great indicator. But not all Xavier hires have met with immediate success and a seamless transition. So this is a sticky now, eh? Thanks to Ninercentral on the ninernation.net boards, I was able to use a different site for my spreadsheet. It's 1000 times better. No more annoying load time. So go ahead and feel free to edit. All you need to do is scroll to the bottom and click 'Edit this page'. When you're done, save and close. It's really that simple. I don't want to edit your page because I am not 100% sure of the situation but there is a minor adjustment for SLU based on Paul Eckerle's scholarship. I am not 100% sure of the details but I believe he has a "flexible" scholarship. He will get a scholarship if there is one available but if SLU needs another one for 2010-11 they can use Eckerle's. Paul Eckerle has a full ride academic scholarship which I believe is related to the "flexibility" in his scholarship. Gary Correia is back and Doug Wiggins is gone. I saw the autosave on, but it did not appear to be saving, I'm guessing I needed to close the page. Last edited by Steve81; 05-19-2009 at 06:43 PM. Just added a walk-on for us this year. If I did it wrong, feel free to edit it. It's a scholarship tree, so it should only include players on scholarships. There are a couple of notable exceptions - Jamar Briscoe was a mid-major All-American (scoring 24 pts against Arkansas, 28 against NC State, and 34 against Duquesne as a freshman last season) and will undoubtedly earn a scholarship once a scholarship opens up. But during his sit-out transfer year, he is technically a walk-on and not on scholarship. Kelvin Agee is redshirting this season and the head coach is considering possibly putting him on scholarship starting next year. Paul Eckerle already has a full-ride academic scholarship so he may walk-on the team without any financial impact if the team decides to add 13 other players on basketball scholarships onto their roster. But on the other hand, Charlotte should have a couple of walk-ons this coming season that either transferred from, or had basketball scholarship offers from DII schools. But as of right now, they don't seem to be strong candidates to be among the 13 basketball scholarships next year so they are not included in the spreadsheet. Trevin Parks is another Charlotte walk-on that was actively recruited to be the backup point guard by Bobby Lutz himself ... but that scholarship went to Derrio Green. Parks enrolled anyway. He might earn himself a scholarship next year at the coach's discretion if one is left open, so I added him with a question mark next to his name. BTW - how does the rest of the teams look to everybody? The spreadsheet seems to be filling out pretty nicely. 1)Removed Vernon Goodridge from the 2009-10 roster as he was denied his last year of eligibility in mid-September. 2)Added 6'8" former walk-on Steve Weingarten to last years, this years and next years roster as he was given a scholarship by Coach Giannini last year. 3) Removed Nurideen Lindsey from the 2009-10 and 2010-11 rosters. Lindsey verballed to La Salle two years ago but never signed and did not even play his senior year of high school. His whereabouts are unknown, but what has been known for the past year is that he'd never wear a La Salle uniform. 4) Removed Ruben Cotto from the 2010-11 roster. Cotto verballed to La Salle back in the spring and was supposed to transfer into La Salle in 2010 after spending this year at an Illinois juco. But he never enrolled and is now playing professionally in Puerto Rico. Last edited by LaSalleFan; 10-05-2009 at 11:17 PM. Tyrell Lynch was kicked off the team for a poor work ethic and former scholarship big man Trey Lang is back as a walk-on. I figure he belongs since he was on scholarship with Travi$ Ford. Matt Hill was granted a red shirt. Last edited by Steve81; 11-06-2009 at 11:05 AM. In honor of Signing Day, I added another year (2011-2012) to the spreadsheet. As news breaks for surprise signings or redshirts (medical or otherwise) or academic casualties this season, feel free to either update the tree yourself or to ask someone to update the Tree for you. I couldn't figure out how to change it but SJU is missing 2010 freshman Patrick Swilling. One more correction necessary: it's RonaldRoberts, not Robin Roberts. 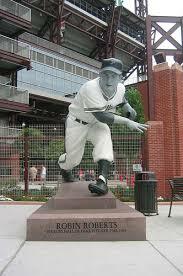 May the real Robin Roberts rest in peace. Survivor, thanks for keeping this up to date. Trey Lang was a walk-on last year. Maybe think about adding a walk on category for the Legend. David Laury is a question mark on eligibility. Morgan is correct, may not have a scholarship this Spring when he becomes eligible (transfer rules).